“The Enormous Radio” was first published in the May 17, 1947 issue of The New Yorker and is collected in John Cheever’s The Stories of John Cheever. 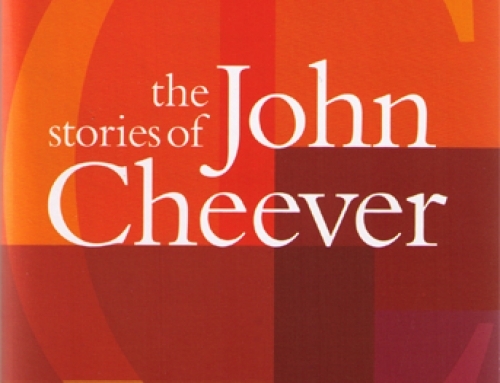 Click here for reviews of other John Cheever stories. “The Enormous Radio” is the third piece in Cheever’s collected stories, but the first one chronologically I’m covering here. “Goodbye, My Brother,” one of Cheever’s most famous stories, leads off the collection, but appeared in The New Yorker several years later, so I’ll cover it later, too. Let’s begin with the sentences. Jim and Irene Westcott were the kind of people who seem to strike that satisfactory average of income, endeavor, and respectability that is reached by the statistical reports in college alumni bulletins. They were the parents of two young children, they had been married nine years, they lived on the twelfth floor of an apartment house near Sutton Place, they went to the theatre an average of 10.3 times a year, and they hoped someday to live in Westchester. The whole of the story is contained in those two sentences. There is also a deadpan element to this description, a cutting detachment, that not for the last time calls into question the figure narrating it. Later, while listening to a Mozart concerto, Irene begins hearing strange noises coming out of the loudspeaker. She soon realizes the radio is transmitting the ambient sounds of her apartment building: elevator doors, doorbells, electric razors. The radio is fixed the following day. Over dinner, when Jim is “too tired to even make a pretense of sociability,” Irene listens to a Chopin prelude before, once again, the music is interrupted, this time by a man chastising his wife for always playing the piano when he comes home. When the man leaves the room, the piano music picks back up. It soon dawns on the Westcotts that they can hear the conversations of their fellow tenants through the radio. A woman asks her husband to button her up. Another man wishes his wife wouldn’t leave apple cores in the ashtray. A nurse sings to her wards. What’s interesting about this revelation is how un-revelatory Cheever presents it. “The Enormous Radio” might be Cheever’s most overtly fantastical story, but it doesn’t feel fantastical. After their initial surprise, Jim and Irene take it as a matter of course that their radio could broadcast private conversations. It makes the story feel more like an allegory of some kind. Irene shifted the control and invaded the privacy of several breakfast tables. She overheard demonstrations of indigestion, carnal love, abysmal vanity, faith, and despair. Finally, Irene realizes what most users of social media should realize: if it’s this easy for her to know the intimate details of her neighbors’ lives, it must be just as easy for them to know hers. The radio thus becomes a tool of validation; if her neighbors can hear the evidence of a happy marriage, then it must be a happy marriage. Of course, the Westcotts do not have a happy marriage. 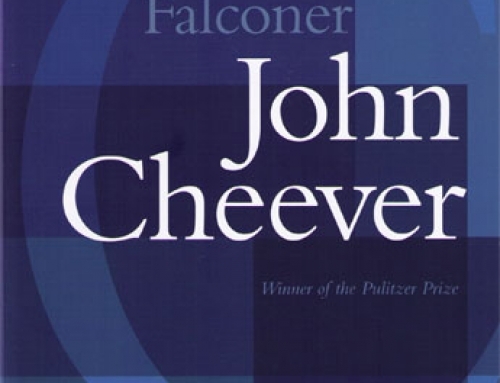 Right from the start, Cheever has told us they are well-versed in playing the part of a successful couple and in hiding the serious fault lines on the verge of erupting. It’s a savage ending, blindsiding Irene and us both in its intensity, but all Irene can do is turn the station on the radio, hoping once again to hear the reassuring sounds of the upstairs nurse as Jim continues yelling. “The Enormous Radio” has lingered in my mind because it sets the terms for the rest of Cheever’s characters: uncommunicative, envious, status-obsessed people. They might not have access to an all-knowing radio, but they’re all listening carefully for any telltale transmissions that might give meaning to their own lives. Great stuff, Michael. I liked two things in particular about the story (beyond the things you’ve already highlighted): how there’s a parallel between the deadpan blandishments of the narrator at the beginning and the weather report at the end; and how, once we get beyond such surfaces (and become privy to unhappy revelations, such as the wife-beating Irene ends up so horribly riveted by and involved in) we’re unlikely to find a great deal to soothe us. It’s a masterly evocation of the perils of overt inquisitiveness (and acquisitiveness) and acts as a kind of game chastisement and tongue-in-cheek parody of all readers, who are necessarily eavesdropping on any fictional characters. So glad you’ve brought us back to Cheever, Michael. The maid really interested me. She fed the kids, gave them baths, and then cooked and served the Westcott’s dinner as well. She lets the repairman in to repair the radio, and most likely she polished the silver that Irene absent-mindedly inspected at supper, not to mention she probably cleaned the apartment, too. The maid’s life is filled with housekeeping, cooking and mothering. In contrast, Irene is missing in action, although she does have 2 martinis at lunch and sequesters herself with the radio for half the day. and although married, weary enough of each other for Jim to cry, “Who cares?”. What a great place to start, Michael! This and “The Swimmer” certainly do a lot to dispel the myth of Cheever’s droll fictions :-) . Please post your links :-) .